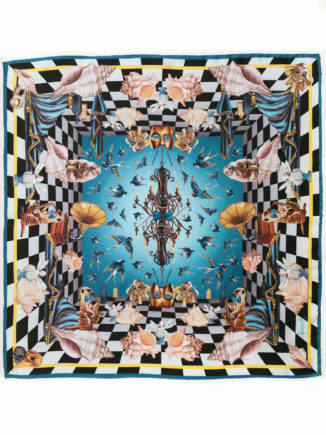 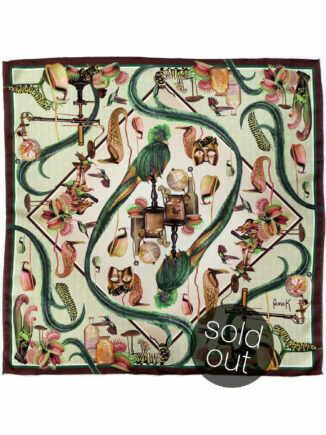 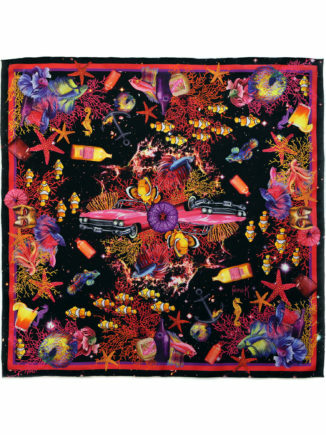 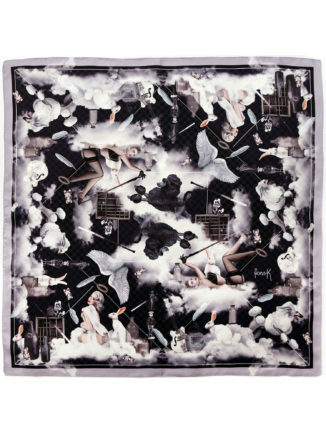 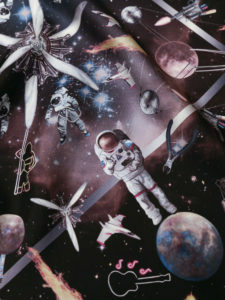 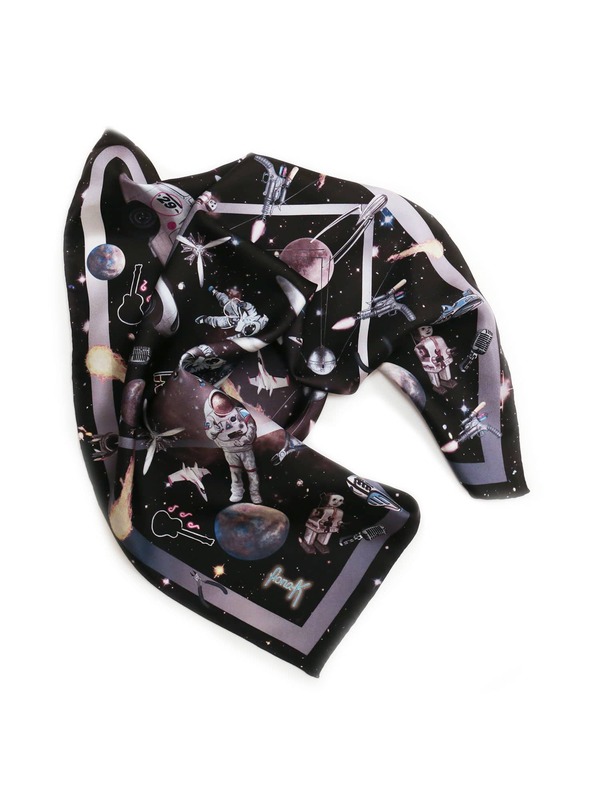 All “Le Voyage Magnifique” scarves are designed and produced in Switzerland. 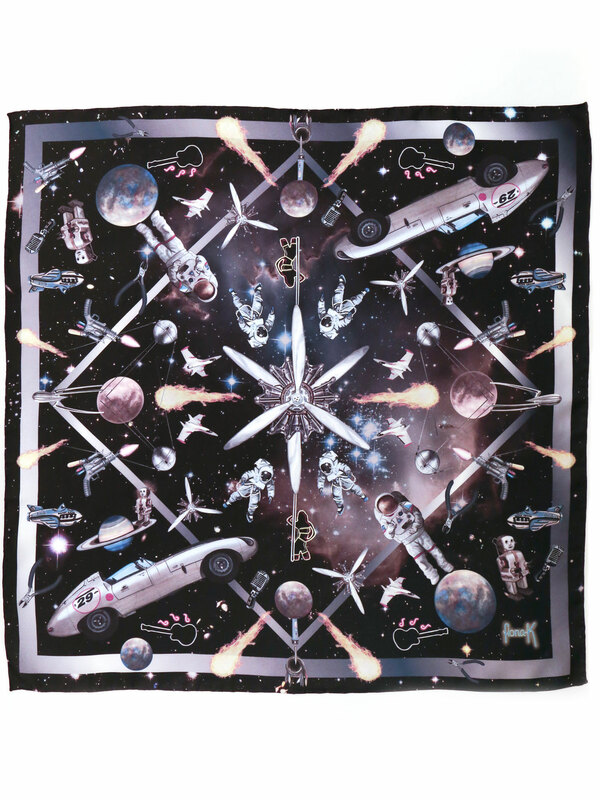 Each design is limited to a maximum of 30 pieces. 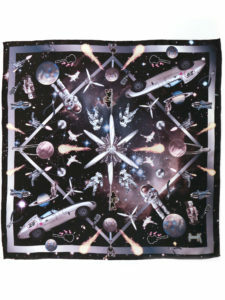 Care: handwashing recommended, best ironed on the reverse side. The scarves are suitable for men and women and can be worn around the neck, as bag accessories or as head scarves.